The following bicycle accident lawsuit FAQ was written by lawyer Fred Pritzker, who is also an avid cyclist and former racer. His experience gives him a unique understanding as he pursues money settlements for his clients with bicycle accident personal injury and wrongful death claims. 1. After a Bicycle Crash, Whom Should I Talk to and What Should I Say? If you were hit by a vehicle, the driver’s insurance company will contact you soon after the crash. It is best if you don’t talk with the insurance company representative. These insurance representatives are called adjusters. They’re not bad people, but their top priority is to get as much information about your accident or your injuries and then try to use it against you. That’s why it’s a good idea to talk to a bicycle accident attorney before you talk to any insurance company. 2. What Kind of Bicycle Lawsuit Settlement Can I Expect? If you hire one of our attorneys, we will work to obtain compensation for medical expenses, wage loss, pain, suffering, disability, disfigurement, emotional distress, loss of earning capacity, and other losses that may have occurred. The money for these losses is paid by insurance companies. Attorneys Fred Pritzker and Eric Hageman investigating after an accident that severely injured a client. They can be contacted by calling 1-888-377-8900 toll free or by using the form below. 3. What is My Bike Accident Lawsuit Worth? For your attorneys to determine the value of your case, they have to look at many factors. The most important factor is the severity of your injuries. Information about the severity of your injuries usually comes from your doctor in a medical report in which he or she comments on your injuries. Another important factor is how your injuries affect you. For example, a broken finger to most people is not that severe an injury. If you happen to be a concert pianist, however, a broken finger can be a terrible loss. Thus, it’s important that we know a lot about you and how your injuries have impacted your life. Other factors include the amount of your medical bills, the amount of your wage loss, whether you have any scars, what impact your injuries will have on your future earning capacity, and a host of other issues. Every case is different, and it depends on the skill and experience of your lawyer to know what is fair compensation for your losses. If you or your loved one has traumatic brain injuries (TBI), it is important to hire attorneys with brain damage lawsuit experience. 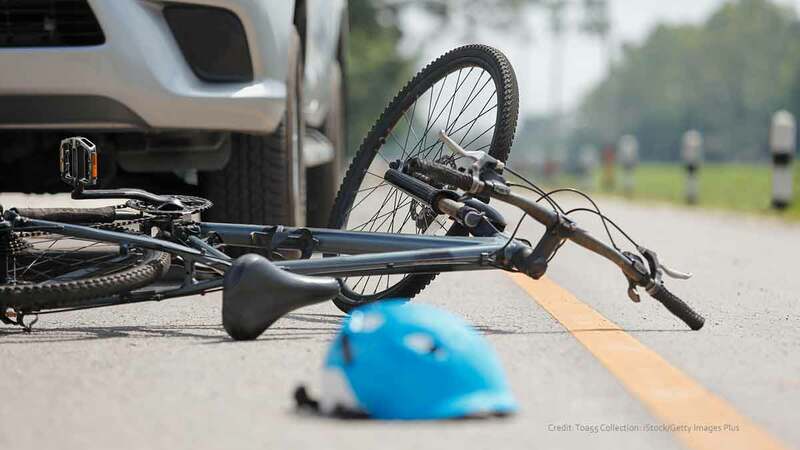 If your wife, husband, daughter, son, mother, or father was killed, you may have a bicycle accident wrongful death lawsuit. More information: Bicycle Recall, Hit and Run.